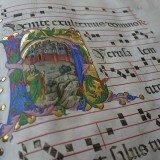 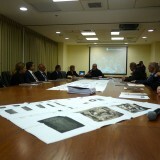 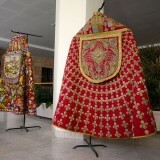 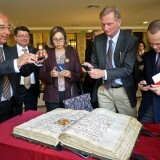 home / Multimedia / The Holy Land in news / The Project of the Terra Sancta Museum presented to the consuls .. 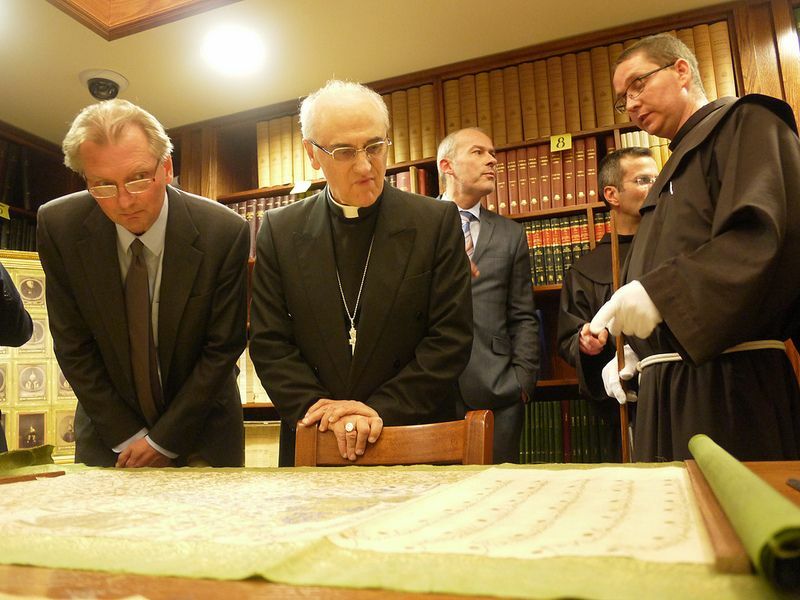 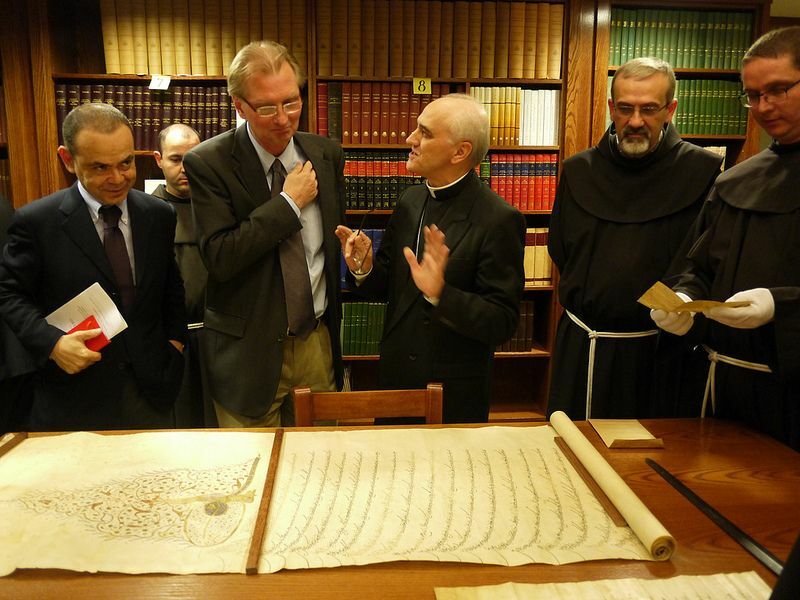 The consuls and various delegations to Jerusalem, who arrived and were received one-by-one at the headquarters of the Custody of the Holy Land by Fra Pierbattista Pizzaballa, found themselves before several of the most precious objects which the Custody will put on display in the new Terra Sancta Museum. 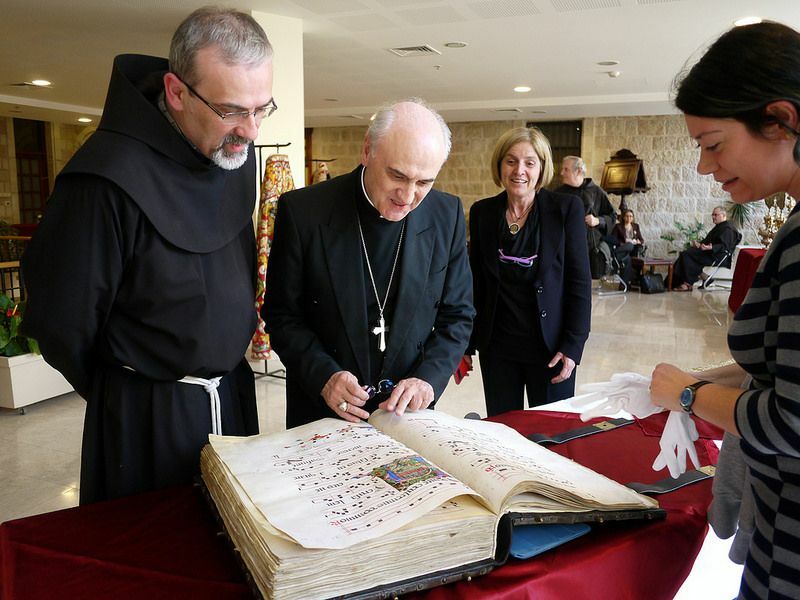 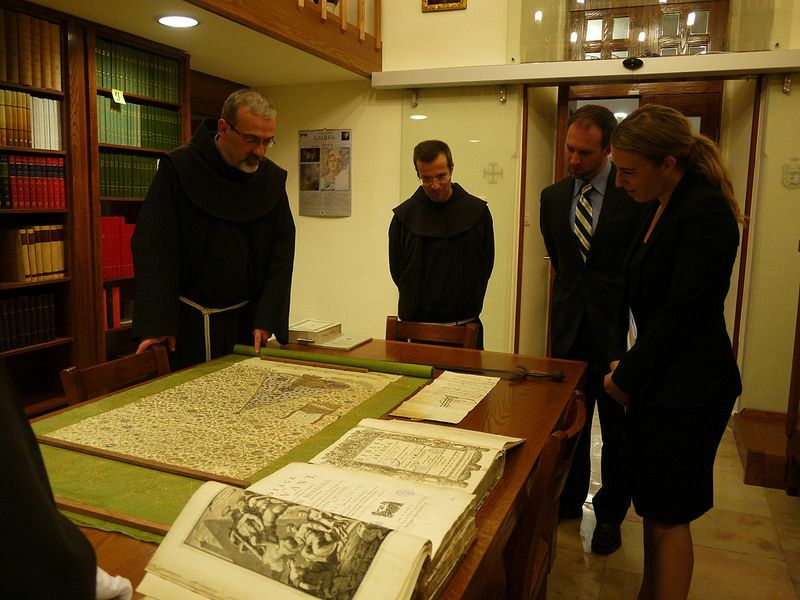 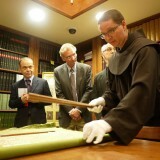 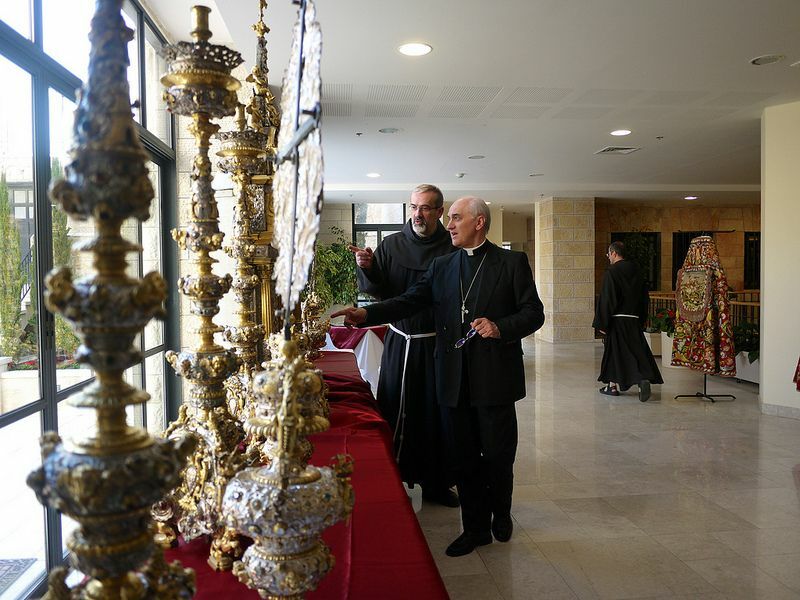 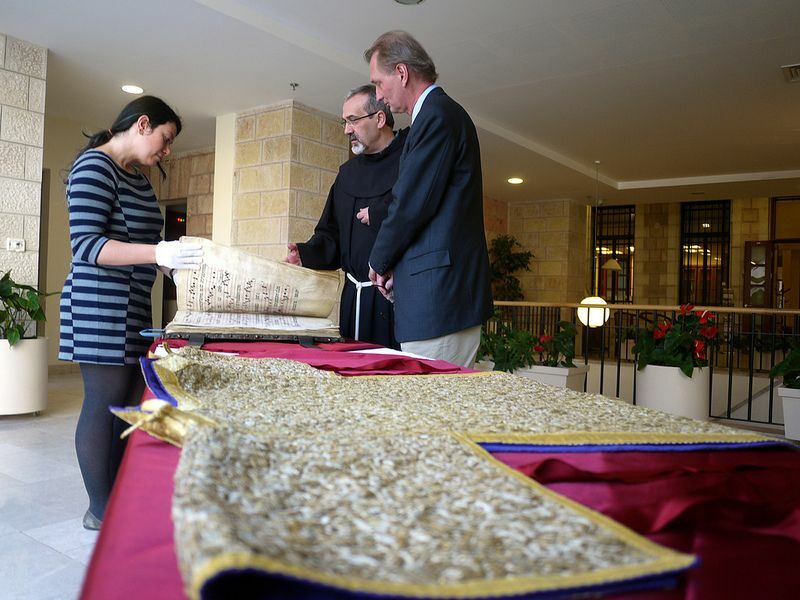 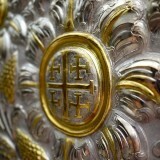 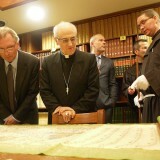 On Friday, March 7, in Saint Saviour’s Convent in Jerusalem, a private meeting with the consuls general was held to present this ambitious and important project to them, a project through which the Franciscans of the Holy Land intend to display to the world the treasures which, over the course of centuries, have been donated to them; it is also a project through which they wish to help pilgrims and visitors from the world over, as well as the local community, to better understand the history of Christianity and of these sites. 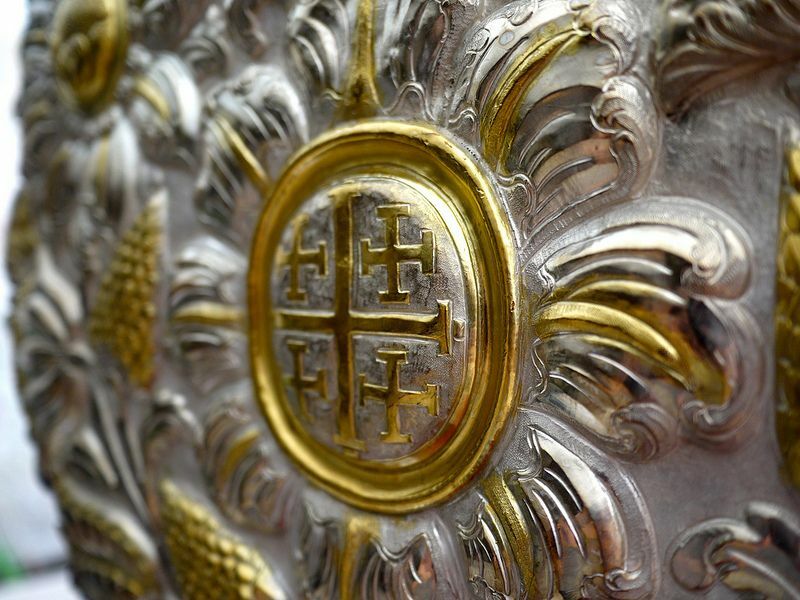 ATS Pro Terra Sancta is entrusted with carrying ahead this project and of coordinating fund-raising activities. 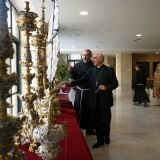 To hear the words of the Custos, Fra Pizzaballa, and to admire several of these most precious objects, were: the Italian Consul General, Mr. Davide La Cecilia, who also helped in the organization of this event; the Nuncio and Apostolic Delegate, Archbishop Giuseppe Lazzarotto; the Belgian Consul General, Mr. Bruno Jans; Mr. Yves Corbel, member of the Cultural Commission of the French Consulate General, and Mlle Maria Magro, wife of the French Consul General, Hervé Magro; the Swedish Consul General, Mr. Axel Wernhoff; Mr. Ryan Purnell and Ms. Yael Lempert, delegates from the United States Embassy; Mr. Mustafa Sarniç, the Turkish Ambassador; and Mr. Sergio Piccolo, head of the department of the European Union in Jerusalem. 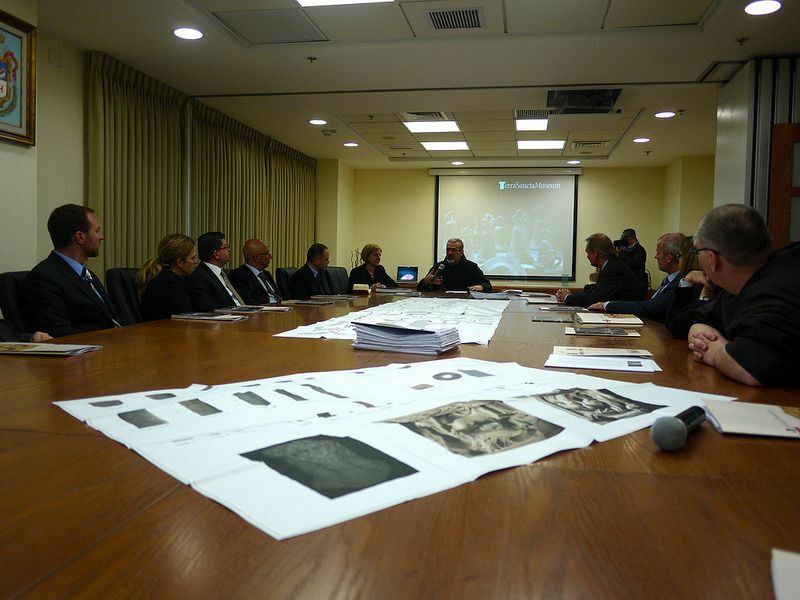 Fra Pizzaballa also underlined the aspects – which the future museum will carry out – of education and of involvement of the local community: the three sections of the Terra Sancta Museum – the archeological, the historical and the multi-media sectors – will be visited by many students from local schools; the Museum will also provide employment and will increase the possibility of further cultural development for many youth; and it will also offer the opportunity for dialogue with many members who dwell in the holy City. 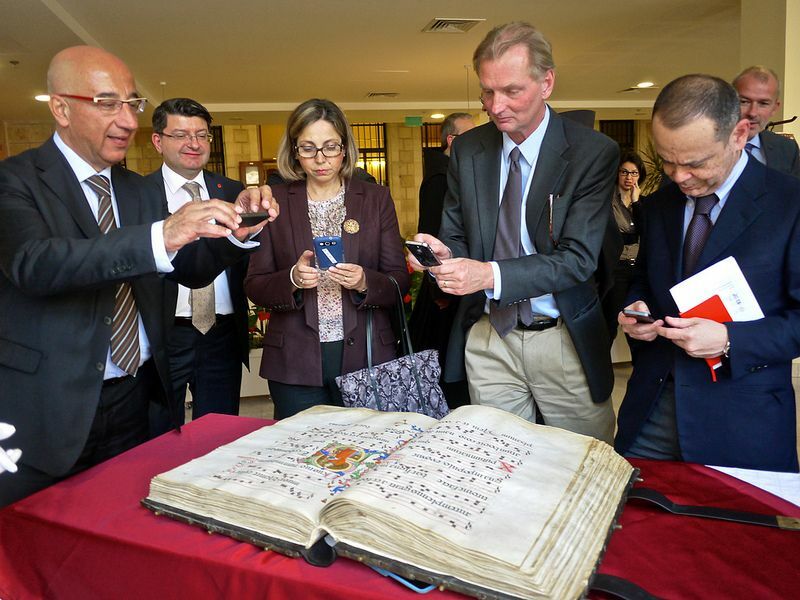 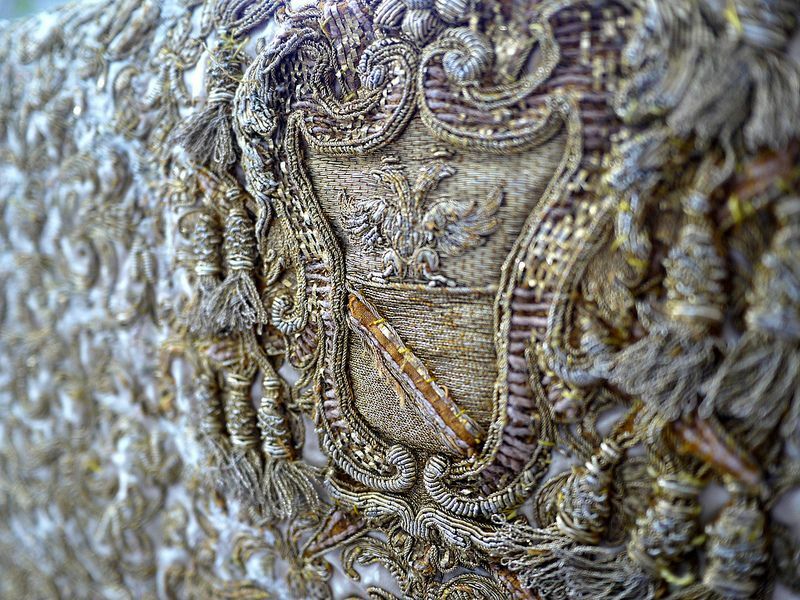 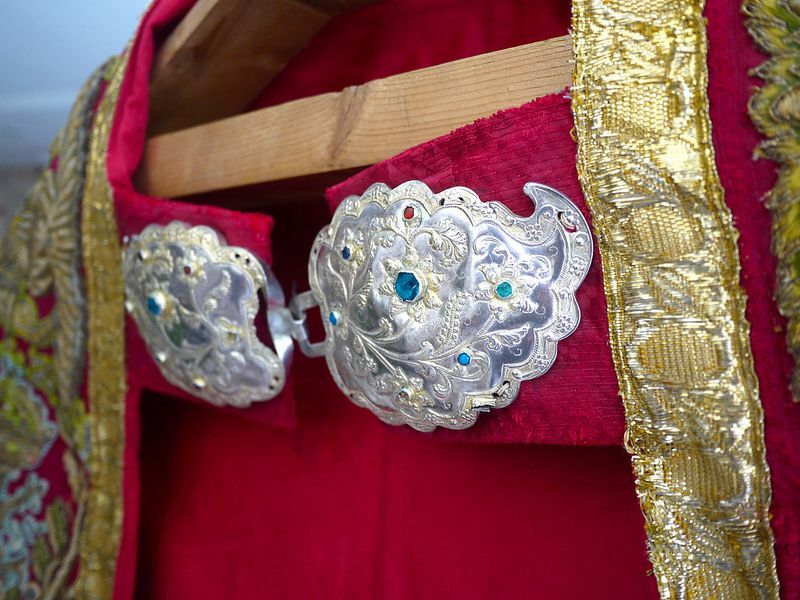 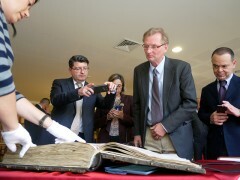 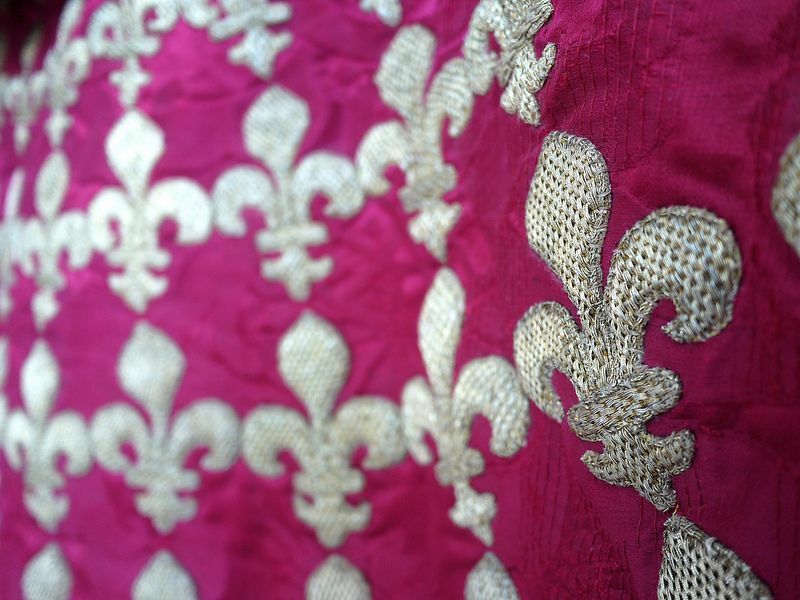 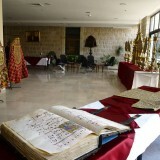 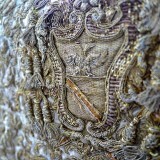 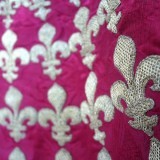 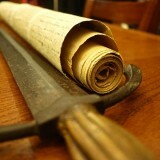 Following the presentation of the project, the Consuls General had access to visit the historic Archives of the Custody of the Holy Land, and to see up close many of the objects exhibited for the occasion in the hall of the Custody: from the sword of Godfrey of Bullion, to various Ottoman autographs with minute embellishments in gold, to the dalmatic from the early 1700’s, gift of Cardinal Ottoboni, to a pontifical cope donated by King Louis XIII in 1621 as part of an extraordinarily beautiful 14 piece liturgical inventory, to the small throne and candelabra in silver made in Messina during the era of the Kingdom of the Two Sicilies and donated by King Philip IV of Spain, to the miniature codex of the mid 1300’s, gift of the Duke of Lancaster. 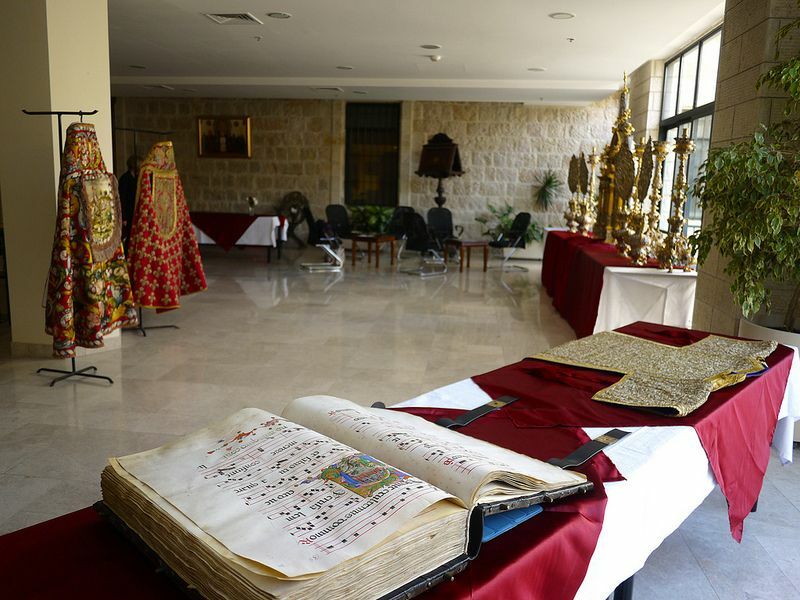 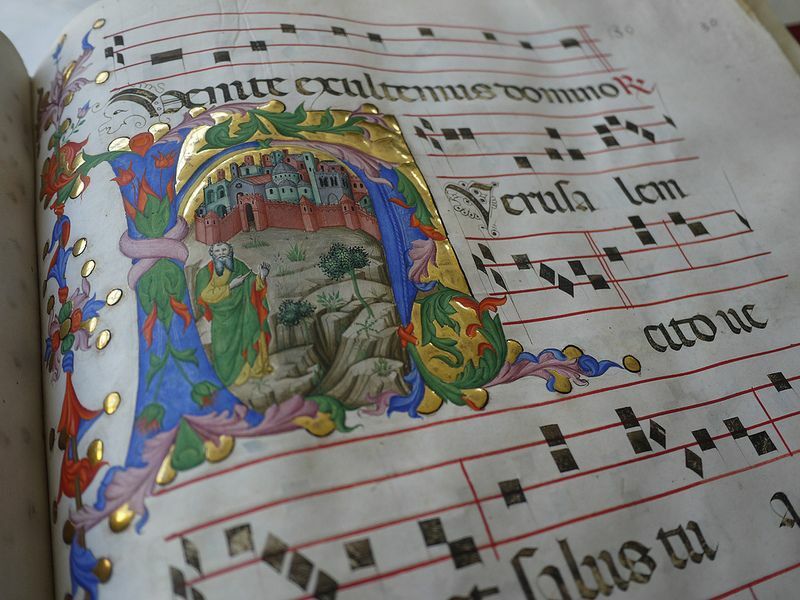 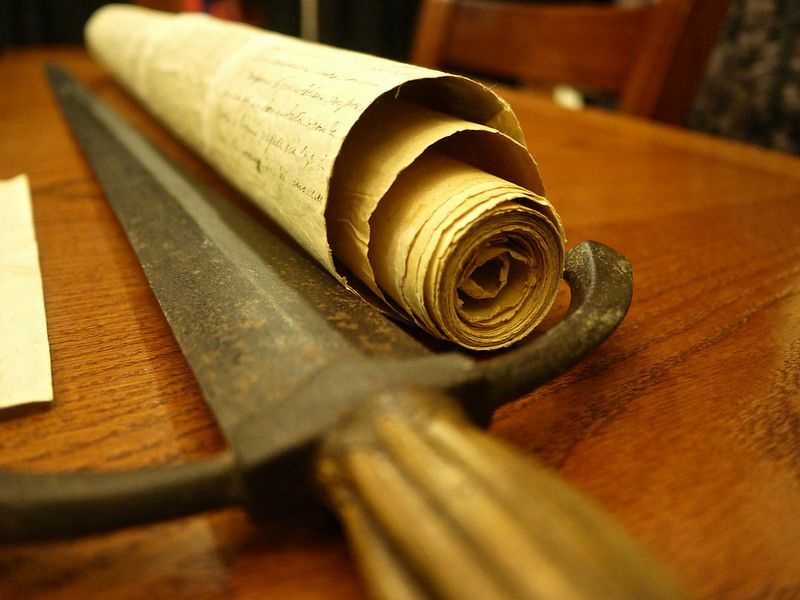 It is but a small selection of the vast patrimony which covers various centuries and tells the history of the closeness and of the relationships held between the Holy Land and the rest of the world. 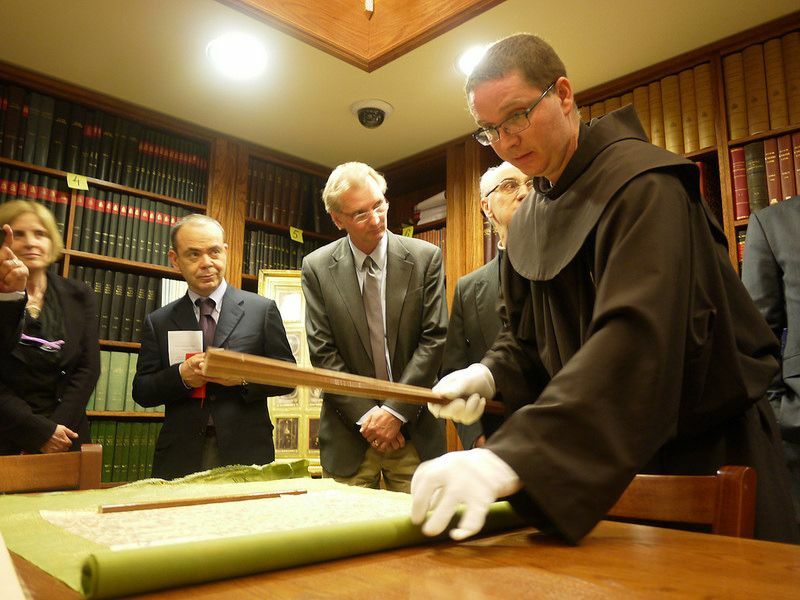 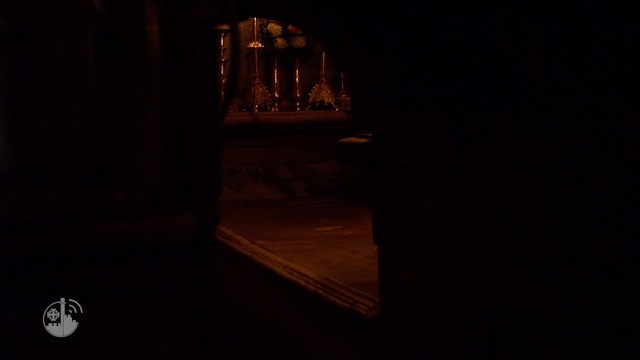 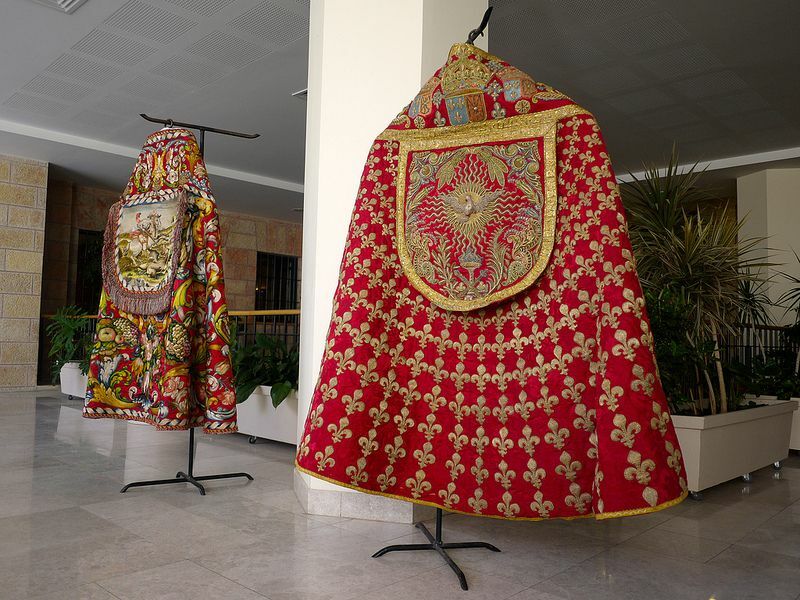 It is a patrimony which they wish to make available to the public to give all the possibility to draw near and to examine in depth this historic, archeological and artistic wealth of which the Franciscans have been custodians for centuries.